I am trained as a wine writer so I tend to look at all fermented beverages through a somewhat vinous lens. Lucky for me, this week’s big Washington beer news - news that could change the future of craft beers - can be explained with a wine analogy. Much like a grape varietal defines the soul of a wine, so does malt with beer. Yet, since Prohibition, brewers have been limited by a lack of diversity in malt choices (quite the opposite of the hops situation). Despite the whopping 11,000 varieties of barley in existence, most of the grain supply is dominated by a few low-flavor varieties processed at big malting houses in the Midwest. Now, in a landmark move, Pike Brewing Company is changing that. The Seattle-based brewery has been working directly with Skagit Valley farmers to grow barley varietals specifically for craft beer malt. This week, they roll out a series of beers made with 100 percent Washington State ingredients that define the state’s terroir, or soil expression. (Yes, a wine term that works well here). 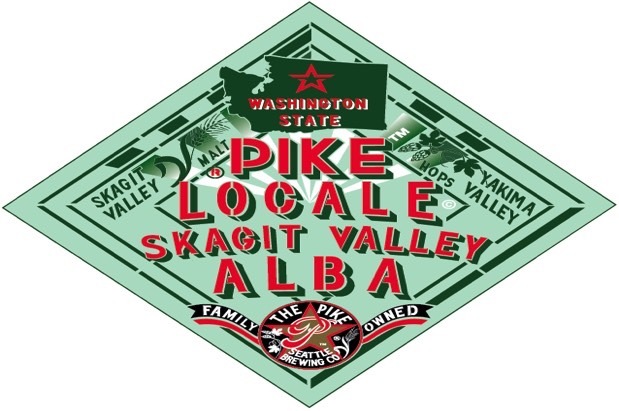 Future beers in the Pike Locale series, featuring other heritage and varietal malts, will be available as the grains become available and as Pike Brewing Company’s brewers create new recipes for them. You can get more information on Pike Brewing’s website. Cheers! Now that's a universal term.